Even colder than yesterday, minus one around 06 but increasing during the day to 4-5 degrees. It actually snowed for a period, despite that we caught the first Willow Warbler of the year. Nets up 06-15, netmeter hours approx. 2900. Ringed: Redwing 2, Willow Warbler 1, Common Starling 2, House Sparrow 1, Greenfinch 1, Common Linnet 2, Mealy Redpoll 2. Total = 11. Also 11 controls. Ringmerket: Rødvingetrost 2, løvsanger 1, stær 2, gråspurv 1, grønnfink 1, tornirisk 2, gråsisik 2. Total = 11. Også 11 kontroller. 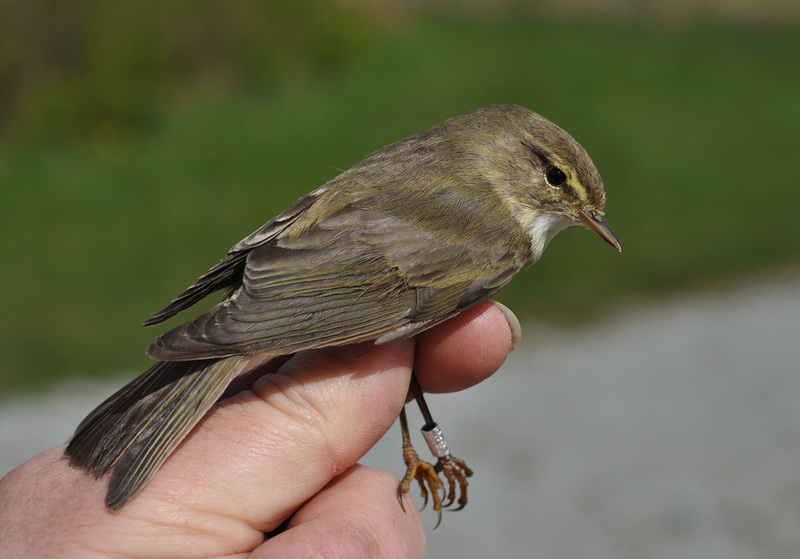 The first Willow Warbler in 2016 turned up today despite sub-zero temperatures in the morning. Årets første løvsanger.